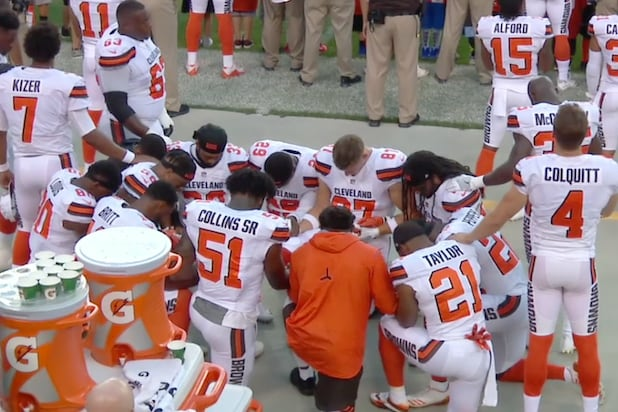 At least 12 members of the Cleveland Browns knelt during the National Anthem prior to Monday’s pre-season game against the New York Giants. Among the dozen players was Seth DeValve, who is the first known white player to protest the anthem since Colin Kaepernick first did it last year. DeValve is married to an African-American woman and said the recent violence at a white supremacy rally in Charlottesville, Virginia, influenced his decision. Browns head coach Hue Jackson told ESPN that he respects his players and “the flag,” and said the group had discussed the decision with him before they followed through. Kaepernick, who first took a knee during the anthem last year to protest police brutality, is currently a free agent looking for work. 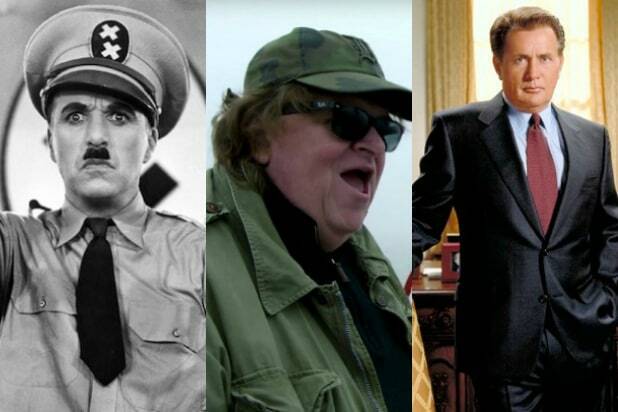 Many pundits feel he is being blackballed because of his political views. The Browns players said they were not sure if the protest would continue during future games.